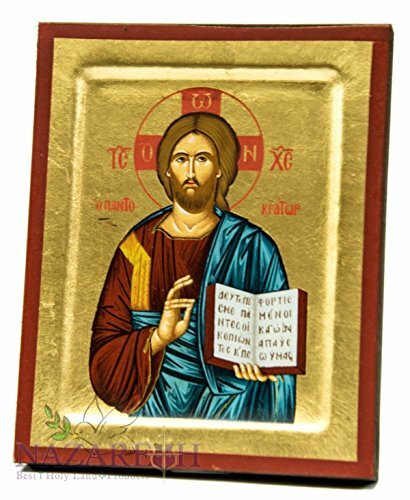 Beautiful Wood Byzantine Christian Icon Of Jesus The Teacher Handmade From Pefkis Exact Copy Of the Strict Byzantine Style made of Highest Quality Materials with meticulous & expert workmanship. (H X W): 13cm x 10.5cm / 5.1" x 4.1"
If you have any questions about this product by Holy Land Gifts, contact us by completing and submitting the form below. If you are looking for a specif part number, please include it with your message. Jerusalem Virgin Mary With Jesus Christ Byzantine Wood Icon Christian 5.1"
Jerusalem Holy Family Of Jesus Byzantine Wood Icon Christian 5.1"
Christian Archangel Saint Gabriel Statue Figurine Holyland 9"